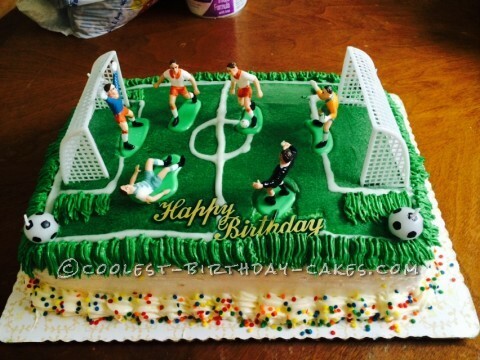 This soccer cake was a yellow cake, bavarian cream filling, buttercream frosting. This was something new for me and I created it for my son who wanted a soccer cake. He loves to play soccer and I wanted to make him feel happy.